Last week I received a totally unexpected courier. After opening the packet, I got few pleasant surprises inside it. Unexpected in the sense that Paper Boat didn't contact me before sending it to my door. Last year they contacted me to review their other drinks, but somehow they didn't send me any. Then suddenly they sent me a huge carton last week. 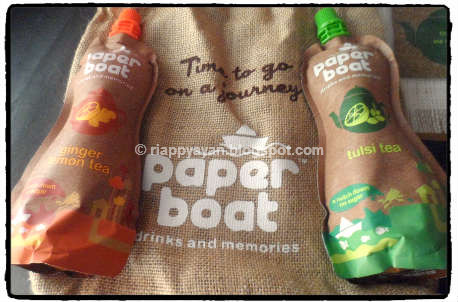 Inside the carton, there was 4 packets of drinks in two flavours nicely packed in a cute Jute bag, a memo and a sweet letter from Paper Boat, stating that they want my genuinely review about their new products. Hector Beverage company, who runs Paper Boat, has concocted their new range of Ready-to-drink tea packages in two flavours with Darjeeling black tea. One is very popular flavour - Ginger-Lemon tea and the another is Tulsi(basil) tea. In market, we get these flavoured tea, but mostly in tea bags, which you need to prepare at home but not many ready-to-drink packages are available in today's market. So I think it's very thoughtful and useful move from Paper Boat. The packaging is also very impressive and handy, I must say. I specially love their humors a lot, small quotation on the packages here and there, always bring smile on my face. "Chai thandi ho rahi hai(Tea is getting cold)" is a common phrase in everybody's households in India, as we love our hot cup of tea better than the cold one. But sometimes when outside climate is humid and hot, a tall glass of iced tea brings the freshness inside us. 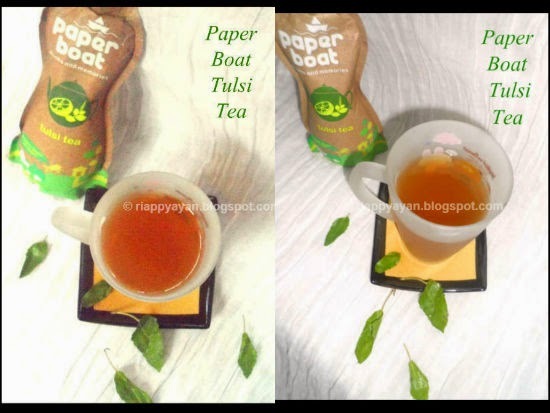 Paper boat has just did that for you, they concocted a cool tea blend with our favorite tea, Darjeeling black tea with very common Indian herbs, Ginger-lemon and tulsi(basil) with very less sugar and with no preservatives and added colours. What else do you want? Paper Boat suggests to serve them chilled. It's could be your ready-to-go drink with office lunch, picnic or anywhere you travel. 1st blend, Tulsi Tea : As I had a little cold when I was tasting this drink, I drank it in room temperature. 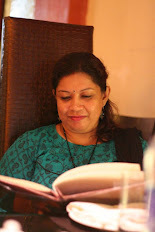 It was a light-brown crystal clear drink with a subtle taste of basil or tulsi leaves and the sweetness level is also quite low, just what I like. 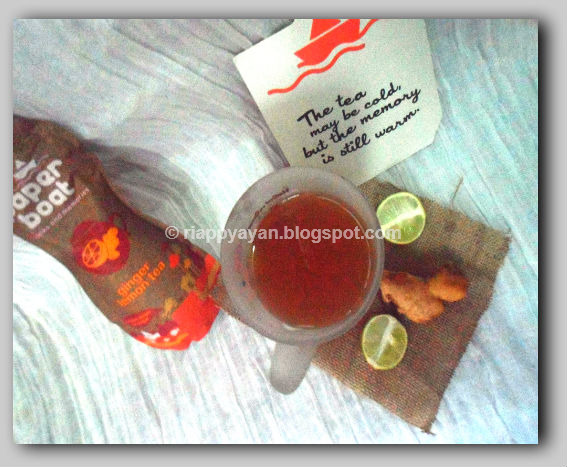 This drink contains black tea, tulsi leaves, lemon concentrate and little sugar. The packet contains 250 ml. of drinks and costs Rs. 30, which is quite economical, I would say with the goodness of no preservatives or artificial colours. The taste of this drink is quite bland in my taste. 2nd blend, Ginger-Lemon Tea : This blend contains black tea, ginger, lemon juice concentrate and lemon grass and of course the Paper Boat default of no preservatives or added colours. 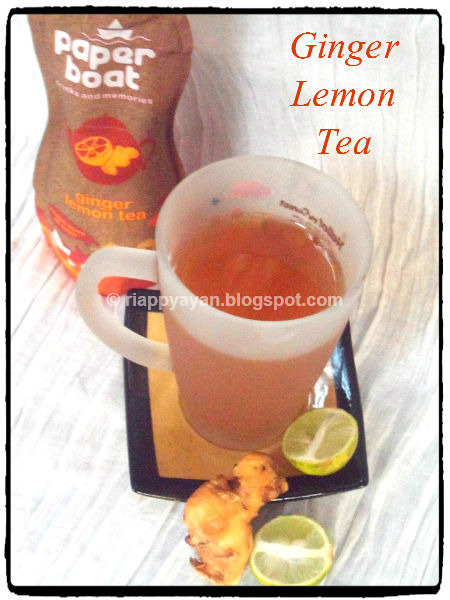 The taste is very soothing with more of a gingery flavour than lemon. I would prefer little more lemony flavour in it. Nonetheless, it was quite refreshing for me. It felt very soothing for my sored throat after I drank the whole pouch. Again sweetness level was quite low in this drink too. It costs same like the other one, Rs. 30 for 250 ml. I loved this one better than Tulsi tea. Verdict : According to my taste bud, the tulsi flavour in tulsi tea could have been little more strong and the taste of lemon in Ginger-Lemon Tea is quite underdone. 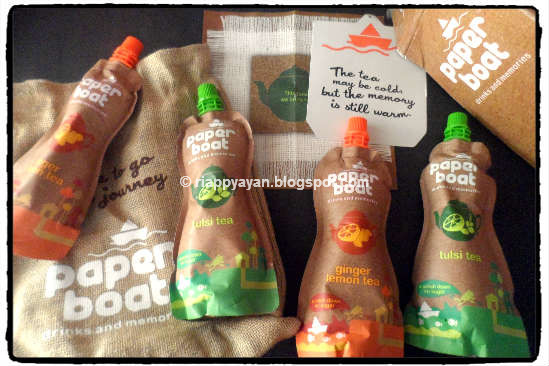 Will expect some revise from Paper Boat on these products. Disclaimer : Though these product samples was sent to me by the company but the opinion about these products are completely my own. It's no way a paid review. But I want to thank Hector Beverage for sending me these drinks to know my opinion. Hope you will hear my voice on these products. Hoping to buy these drinks soon from my nearby market.